Out of the eyelash closet. Oh gosh here it goes. Deep breath. And go. 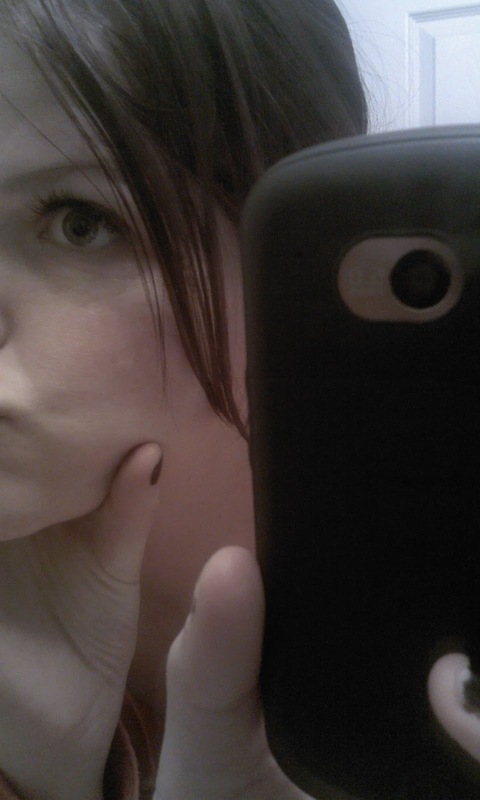 Ihavebeenasecret fake-eyelash-erforoverayear. That's right. They're fake fake fake fake fake. I have been hiding my eyelash addictions. Oh, I told a few people here and there, but only if they asked me directly, and only if I felt they would see right through me if I lied. If at all possible, I hid stealthily behind those beautiful, thick lashes and didn't tell a soul. Inspired by a post by Nat the Fat Rat, I decided it is once and for all time to own my eyelash addiction. 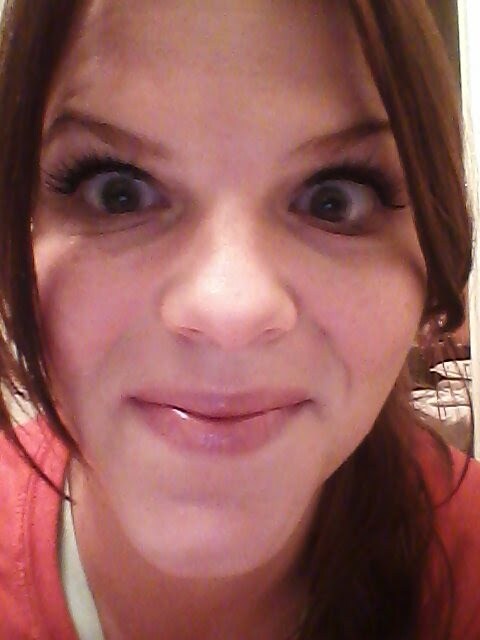 I am an eyelash addict. 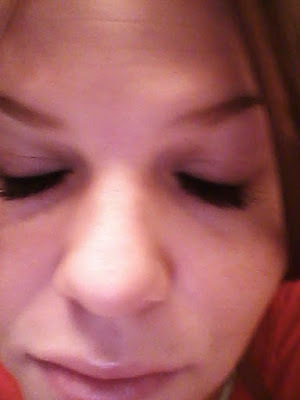 Today I got my eyelashes re-done, meaning they are looking extra luscious. The day that I get my eyelashes done is like the day that my body and soul is rejuvenated. "Get eyelashes done, what you talking about crazy girl?" I can hear you saying from here. Oh, my addiction isn't just about slapping a falsie eyelash strip on to my eyelid and calling it good. No, my addiction goes much deeper than that. I am addicted to... extensions. Falsies: A strip of eyelashes glued onto your eyelid. They must be applied and reapplied every day. Extensions: Individual fake eyelashes glued one by one to your real eyelashes, at the base, so that they really appear to be your real eyelashes. These last 3-4 weeks. Mmmkay, we all caught up now? Everyone clear? Good. I blame the lash addiction on my wedding, really. I had wanted eyelash extensions my whole life, and so naturally my wedding day was the one day I could really justify such a splurge. Let's just say I've been a splurging ever since. Every four weeks. A new set of drop dead gorgeous eyelashes. Hey, you'd be addicted too if it meant no make up and feeling great all day. When I wake up, when I play volleyball, when I get out of the shower, when I am stressed all day, these lashes stay firmly and beautifully in place. And afterall, who can put a price on feeling gorgeous ALL THE TIME? Haha, thanks...I feel SO stupid when I do vlogs, it's kinda stressful! They look amazing, and I would have never guessed they were fakes! Wow, I had no idea about lash extensions! They look great - totally natural and lovely! "Get eyelashes done, what you talking about crazy girl?" That was exactly how I was feeling at the exact moment that you said that. Thank you for answering the question! Plus, they look gorgeous so I say splurge away! I had no clue about lash extensions...interesting! :) how did you end up in there? Holy crap. I have never heard of that! Those eyelashes are amazing! And to answer your question, we will be here until July I think! you are too funny girl. i always wanted to wear fake eye lashes and finally on my wedding day i could wear them. they are oh so perfect!! I love your blog! Visiting from Mamarazzi and I feel like we are long lost best friends because you too are an English teacher (the best/worst job in the world) and you take cell phones away. Love it! I read Nat the Fat Rat too, and her eyelash post, like all her posts, got me laughing. I wore fake eyelashes for my wedding, and I may or may not have worn them during my honeymoon too because I was so addicted haha. Anyway, I'm one of the co-hosts of the BYU blogger meet-up, so I wanted to say hi before the meet-up!